Students in Cheder must dress in a way that mirrors the atmosphere in a classroom where Torah is being taught. The following guidelines are in place to help maintain the decorum and Chassidishe standards that are essential in Cheder. In light of the aforementioned expectations that students and Parents meet the Cheder Chabad standards, it goes without saying this applies most importantly to dress. According to the Shulchan Aruch, a girl must dress in accordance with the Halachas of Tznius from the age of three (Likutei Sichos, Vol. 18, p. 448). Jumper: Pre 1A –Grade 2 Navy blue jumpers. Jumpers must cover the knees fully. Skirts : Grades 3-8 navy blue pleated jumper or skirt. All skirts must be mid-calf only. Please note that this is a school uniform rule. Shirts: Our school uniform shirt is a choice of button-down blouse or long-sleeved polo with a collar (hunter green or white). Sweaters: School sweaters can be ordered from Lands End with our school logo. On their website you will see our three sweater options (zip up, v-neck or vest). No other sweaters/sweatshirts may be worn to school. Tights: Tights must be worn at all times in all seasons. Only navy, black, white, brown or grey tights may be worn in grades Nursery – 8. Shoes: Only Solid Colored shoes may be worn. 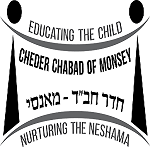 - Click here to go to Cheder Chabad Lands End page. Please Note: When ordering from Land’s End, please use the Cheder Chabad Preferred School Number: 900120700. -Gently used uniforms are available at the uniform gemach run by Mrs. Greenwald. You can reach her at 914-582-8050. Hair : Hair that is below the shoulder must be tied back and cannot be worn loose. Earrings: Earrings should be close to the ear. No hoops, and no dangling earrings. Nail polish: Students in Cheder Chabad should not be wearing nail polish. If a girl comes to school with nail polish, she will be sent to the office to remove it. On second offense Parents will be asked to come down to school to remove the nail polish. Please make sure your daughter does not come to school wearing nail polish. Make-up may not be worn. Nursery and UPK do not have an official school uniform. -Please ensure your daughter’s clothing reflects the Cheder Chabad Tznius standards. -Tights and shoes (no crocs or sandals) need to be worn at all times. The following are guidelines for after school hours. At all times a student’s dress, which may reflect personal style, in general, must also reflect the inner dignity and refinement of a Bas Chabad and a student of Cheder Chabad, specifically. Elbows and knees should be covered at all times. An appropriate neckline, one in which the collar bone, sides and back of the neck are properly covered. Skirts must cover the knees at all times. The entire leg should be covered with appropriate leg wear. Ankle socks or leggings with socks are inappropriate and may not be worn. Form fitting or tight clothing are not appropriate. Slits may not be worn. No attention-drawing or improper graphics on the shirt or bold lettering across the front of shirt should be worn. Hair should be refined and pulled together. If it comes to our attention that a student is not conforming to these standards outside of school, Parents will be asked to meet with the principal to discuss and rectify the situation.